On November 19, events were held in Japan to commemorate the 85th anniversary of the Holodomor of 1932-1933. The events were organized by the Embassy of Ukraine in Japan. 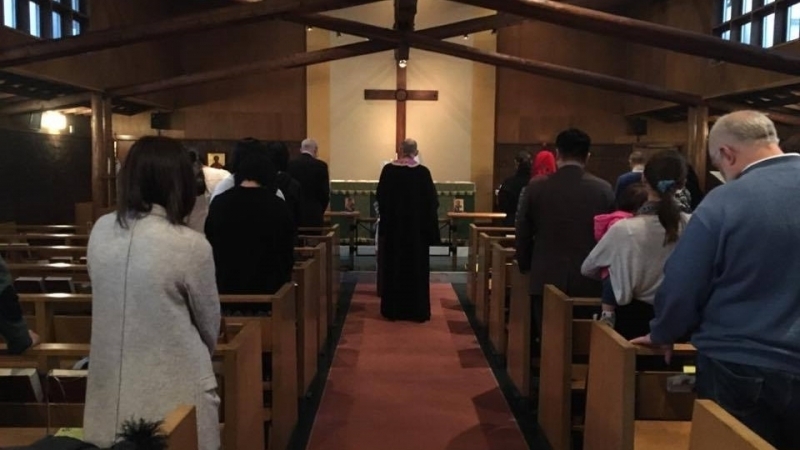 The memorial service of the St. Yuda’s mission of the Ukrainian Orthodox Church (Kyivan Patriarchate) in memory of the victims of the Holodomor took place in the church of St. Alban’s in Tokyo. The event was attended by employees of the Embassy of Ukraine in Japan, Ukrainians living in Japan, and the Japanese as well. The message indicates that representatives of the clergy of the Roman Catholic and Anglican churches of Japan also took part in the commemoration. Within the framework of the event, a joint prayer-requiem was held for the victims of the Holodomor. After the requiem, Ambassador of Ukraine in Japan Ihor Kharchenko appealed to the audience, noting that the enemy continues its war against Ukraine, but Ukrainians have their strong state and reliable partners, so they will definitely win. The traditional action of reproducing the crest of Ukraine took place in the in the center of the Japanese capital following the memorial service. Members of the Ukrainian community in Japan, along with all those present, lighted more than 100 candles and laid them out in the form of a trident, which symbolizes the strength and invincibility of the Ukrainian people, as well as the belief that Ukraine will be able to overcome all difficulties on its way. Reportedly, according to survey, 77% of Ukrainian citizens agree with the statement that the Holodomor of 1932-1933 was a genocide of the Ukrainian people.